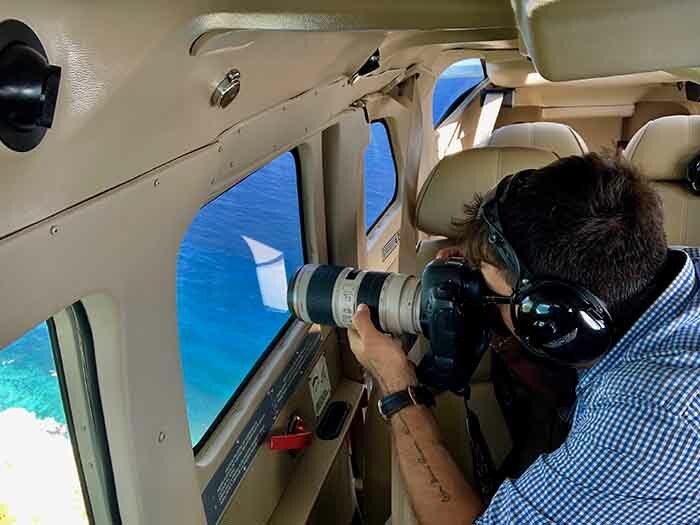 Scenic Flight above Cozumel with Photographer Erik Ruiz. Wow. 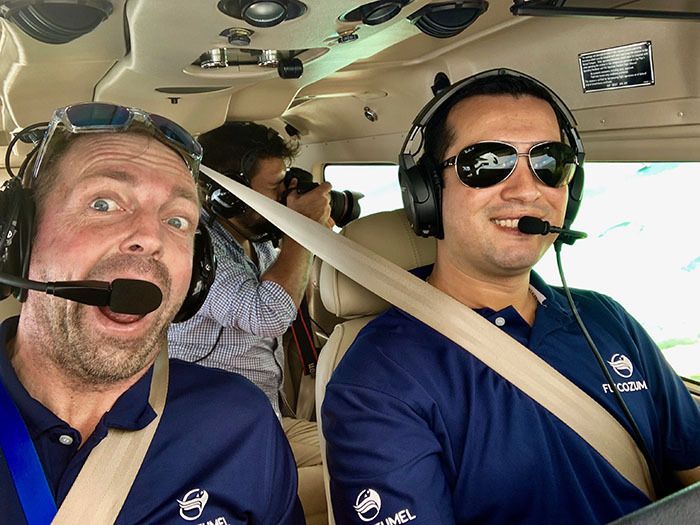 This Saturday was a very exciting day for Fly Cozumel; we executed a Scenic Flight above our island with Photographer Erik Ruiz to take photos for the 4th Aerial Photography Competition which we organize together with Cozumel4You. It was a very beautiful day; lots of sun, a couple of clouds and lots, lots, lots of passion. 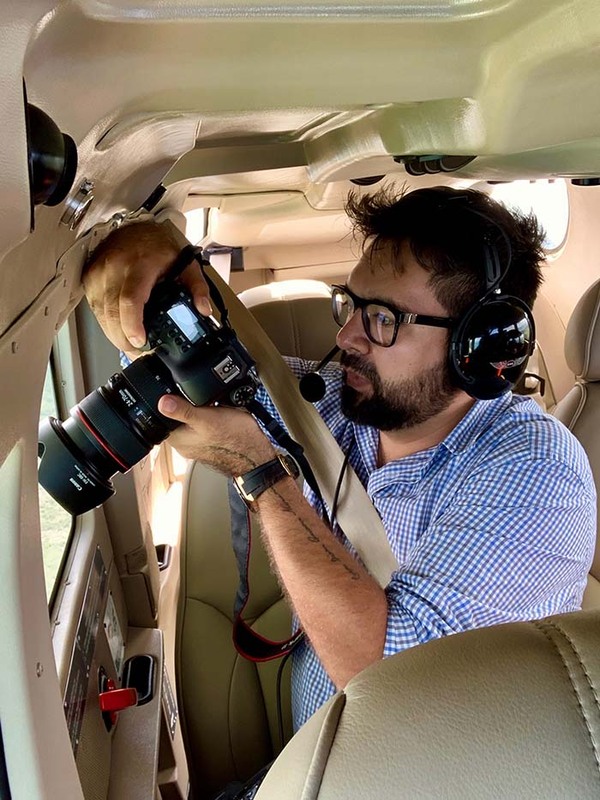 We have been following and admiring Photographer Erik Ruiz for a while now and we were happy he accepted the challenge to fly above Cozumel to shoot photos. We started our flight at the International Airport of Cozumel. A briefing, a talk and lots of excitement. 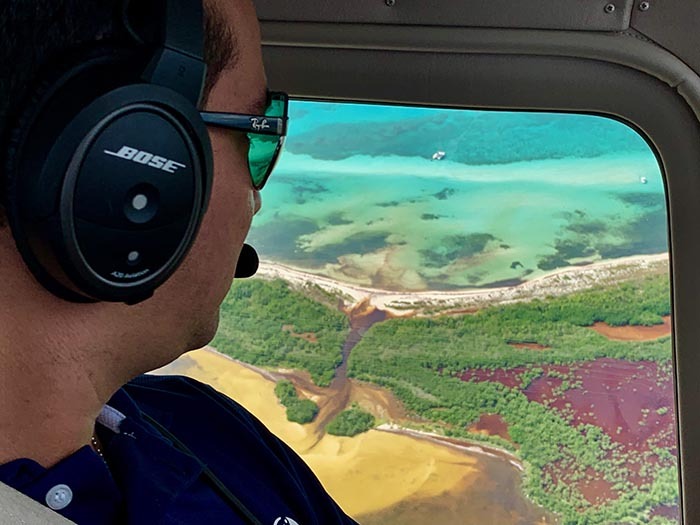 We took off and started our adventure above the North side of Cozumel island. 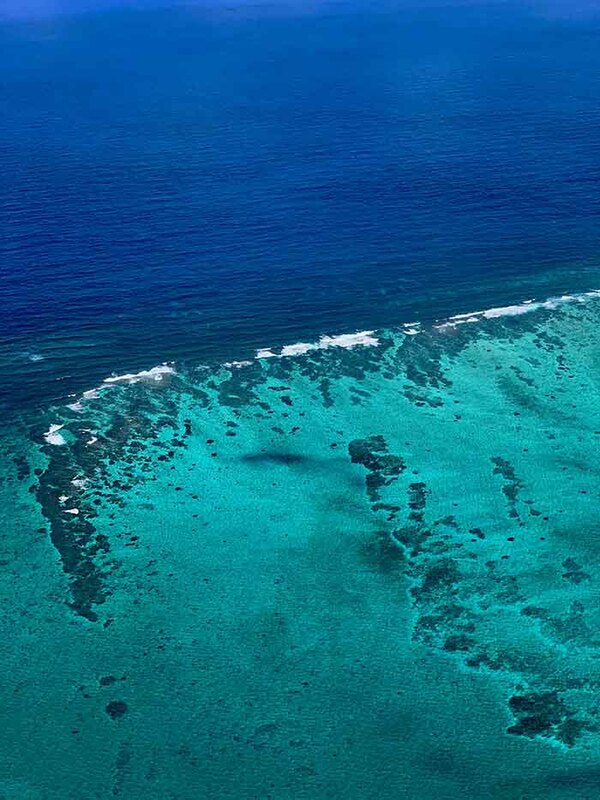 The area around Punta Norte, Passion Island and Punta Molas is breathtaking from above. Erik Ruiz gave instructions where to fly above, points of his interest, the angle he would like to use and where we should be positioned regarding the position of the sun. That all sounds easy, but it is not… Just this North side of the island is so incredibly beautiful. It is undeveloped, nature is pure. Water, mangroves, wildlife and above all a kaleidoscope of colors. You could spend all day here, so imagine you are a Photographer. 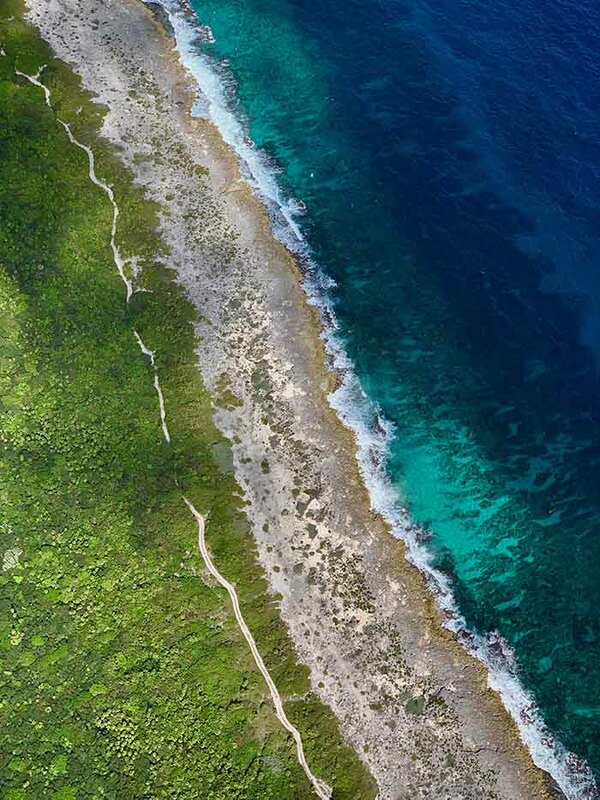 From there the Scenic Flight continued to the Southern point of Cozumel: Punta Sur. Erik Ruiz took pictures of the lighthouse, the mangroves and also El Cielo. The Southside looked spectacular today. Just no words for it. And the colors…. wow, wow, wow. Green, blue, turquoise, brown, white, yellow, just wow, wow, wow. 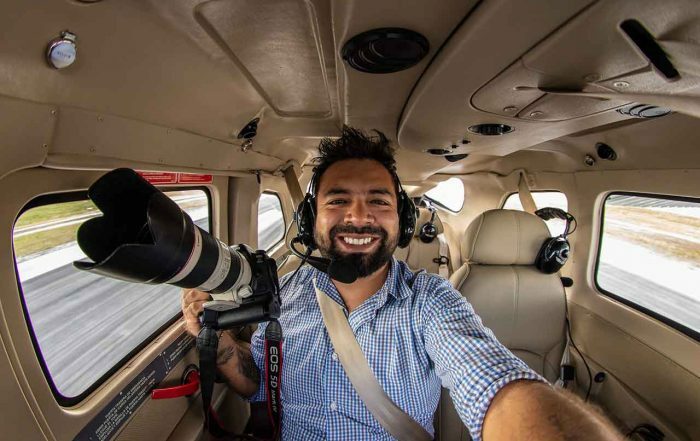 Besides the truly incredible views of the flight of this day, I personally (thoroughly) enjoyed Erik Ruiz´ emotions. We love to be surrounded by people that are pure and have passion. This was PURE. So many smiles, so many times a thumb up and then all of a sudden Erik´s face changed: fully focussed on being a Photographer. We expect the photos Erik Ruiz took on a short term and will publish them on our website; Cozumel4you will do the same. Enjoy them and vote for the one you like the most. We will randomly select a couple of voters and will have a fantastic surprise for them. So stay tuned. Last month Photographer Erik Ruiz ended up in the last 10 finalists in the World Photographic Cup 2019 in the category Commercial. A great achievement and well deserved. 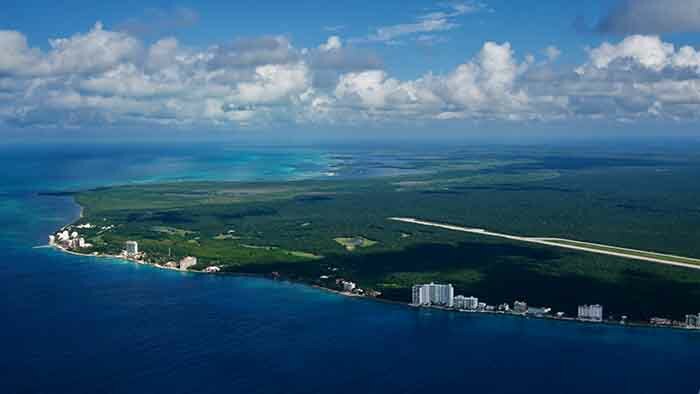 Would you like to experience Cozumel from the heavens by yourself? We are available for Scenic Flights every day. More info. 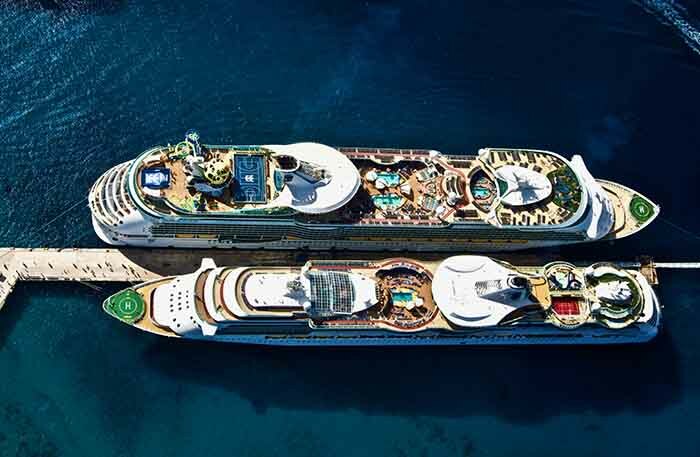 PrevPrevious4th Aerial Photography Competition with Fly Cozumel.